Photograph of 1908 watercolor by Richard Rummell, 1848-1924. The Marine Corps Barracks is across the creek in the background. 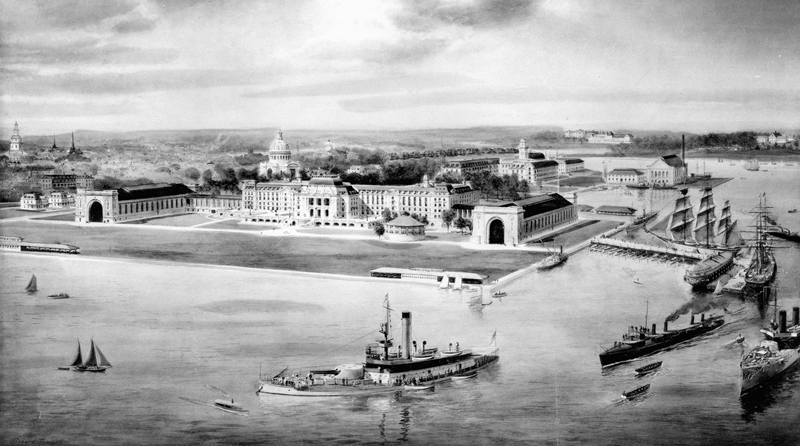 Courtesy of Special Collections and Archives Division, Nimitz Library, USNA. Not for reproduction.